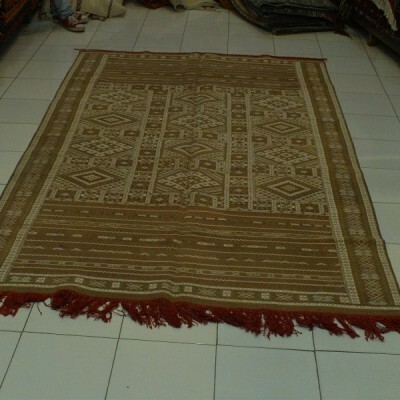 Kilim Woven Carpet hand made in Tiflet, Morocco. Traditional Hanbel carpet for home. Its high density weaving gives it a great resistance.